When my son was around the age of ten, I was taking college courses at that time of his life. With the classes I took in early childhood development we were always instructed to find creative and fun ideas to help children grow. Well, I chanced upon an article about putting food coloring in spray bottles and fill with water. Dress appropriately and spray the mixture onto snow. Well, here in the middle of corn fields, we get a fair amount of snow each year. So one day we filled a spray bottle with water and food coloring and he had the time of his life. He thought it was so fascinating how the snow turned colors. We stayed outside for a long while. We live on a corner lot. 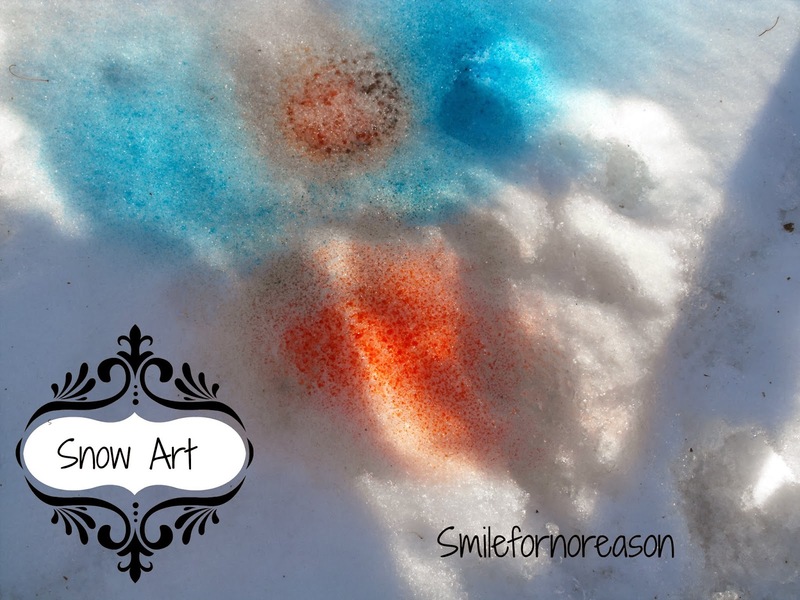 He sprayed the food coloring in the snow by the curb. We had quite a few people drive by and observe my son's creative abilities. We had snow here yesterday and more snow forecasted for tomorrow. With so much snow this year and children out of school for the holidays, give this activity a try. We had so much fun, I know you will too. 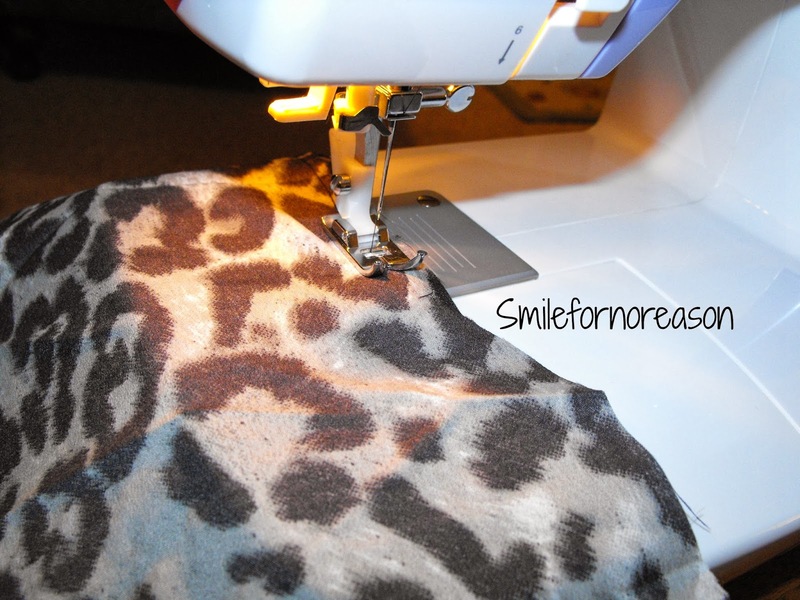 This activity is fun and easy on the pocket book. Save any empty spray bottles you may have. 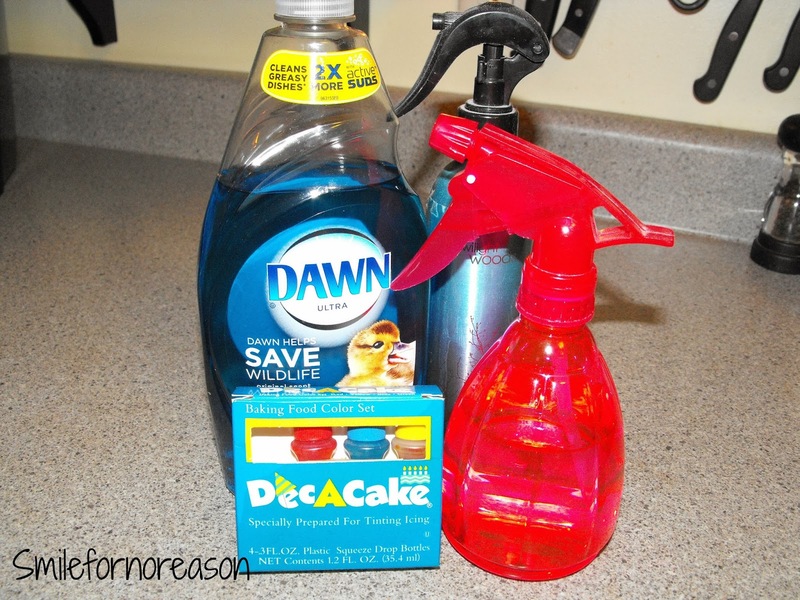 As an example in the picture above, any bottle that sprays or squeezes would work for this activity. Now the food coloring might stain their hands, let them wear gloves and clothes that you do not care if they get ruined. My son was so interested in spraying the snow and making fun designs that his clothes and hands were unscathed. Now for any of you who live where you might not get any snow, seems to me this activity might work with sand also. I'm not sure. If you give it a try. Let us know if it works! My friend gave me an easy cheese dip recipe to try. Only 3 ingredients she said. You know me, I love the quick and easy. Throw all ingredients in a small crock pot and let it do it's thing. Now I would like to say that I liked this dip, however, I just didn't care for it. As you can see in the first picture, the dip is a strange orange color, an artificial orange color. I don't think I could get past that aspect of the dip. Then the texture of the dip was a little unnerving. It was thick with chunks of salsa. The shredded cheddar cheese was greasy. The grease did mix into the dip but, it didn't seam to thin it out any. Now, I love all of these ingredients separately, however, I just expected dip with more jazz to it. 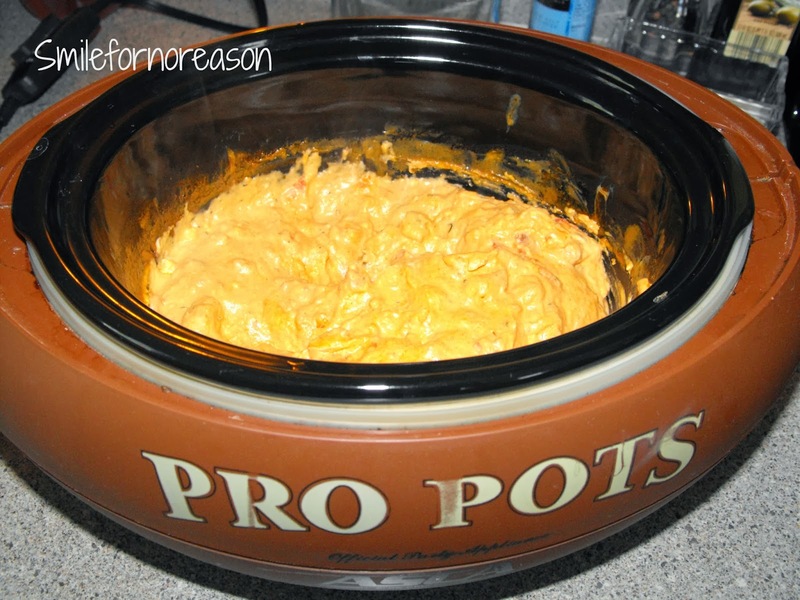 If I messed with the ingredient measurements, I could make the dip better. However, there are so many other easy dips out there that I will look for different recipes. This post is just my opinion. 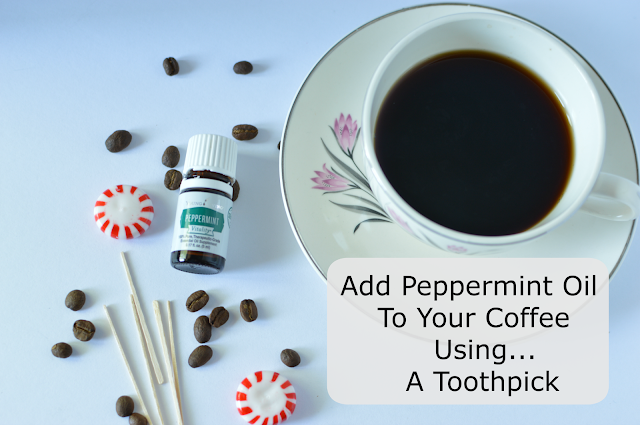 I hope this recipe works for you and you love it. 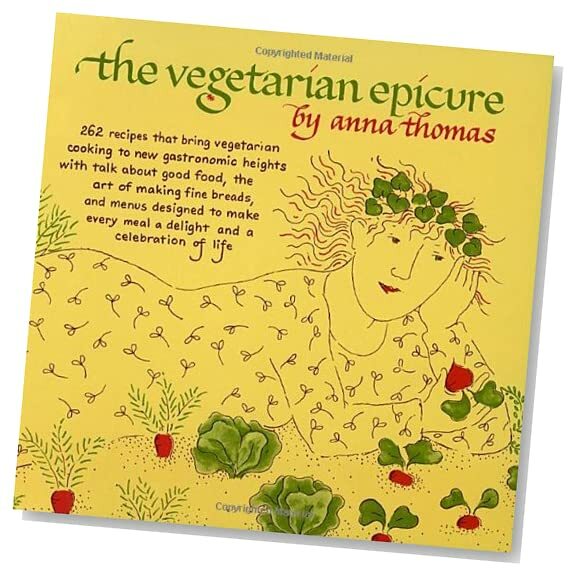 Tell me some of your of your favorite vegetarian dip recipes. 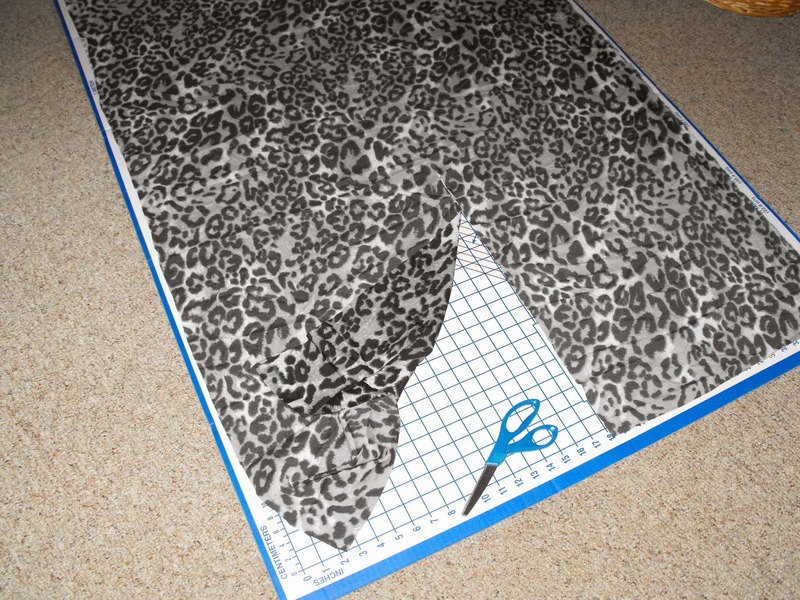 Cutting off the excess material. I have created 5 blankets total. Here is a review of the finished blankets. I made my sister-in-law, Kim, a Chicago Bears blanket. 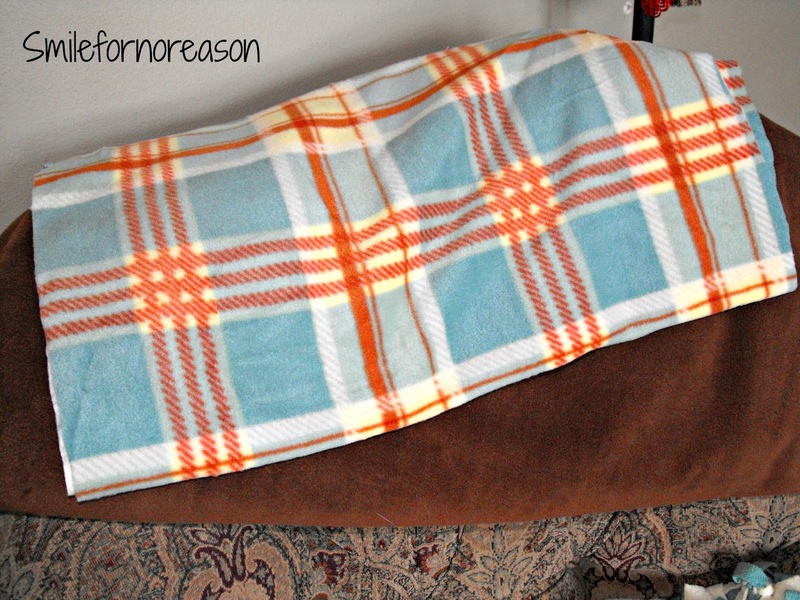 I made my mother-in-law a plaid and brown blanket. My machine worked very well when I was creating my son's blanket. No issues! Now onto something else. 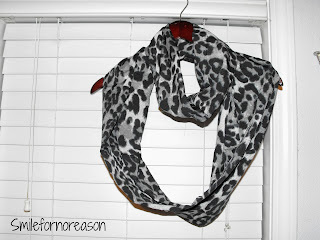 I really enjoyed making the infinity scarves. And I haven't really searched through the clearance material at Joann's. So I think I will start there, but until then I will be searching through blogs for more ideas. I recently finished reading Tara Road by Maeve Binchy. This book was a very good book. I give it 5 out 5 stars. I will give you a short review. This book tells the story of a girl who grows to a woman and her struggles, or her naivety, along the way. I really do not like to read reviews on books, because I like to be surprised as I am reading them. I want the "wow, didn't see that coming" as I read. Last year, my handsome husband bought me my Nook. I discovered blogs that rated books they had read with either stars or shoes. I would look for the ratings and not read the reviews. I would read why they gave the book that rating and then judge for myself if I felt that was a good enough reason not to buy the book and read it. Unless, of course, the cover of the book looked too interesting not to read. Yes, I am a book cover judge. 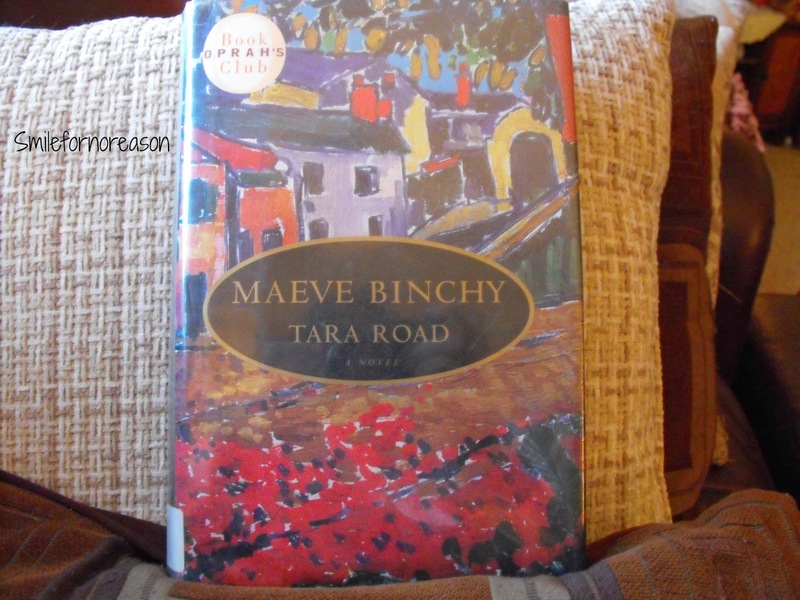 Today I am posting to tell you of a book read with Book-alicious Mama. 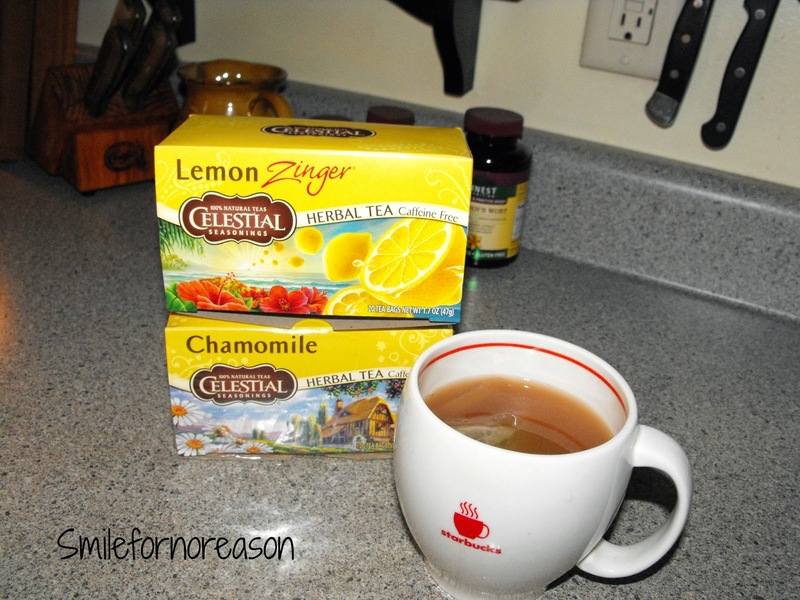 +Jennifer Smeth is hosting a read and discuss party on her channel here. We will be reading the book The Monuments Men by Robert M. Edsel. Remember we’ll discuss here and also on Twitter using the hashtag #monumentsmen to discuss it on Twitter. Tweet your thoughts on the book or quotes that jump out to you. Hopefully this gives everyone enough time to try and win a copy, borrow it from the library or buy one. So? Are you with me? If yes, then post about it on your blog (to help us spread the word) and then sign up in the linky below with the URL of the post. 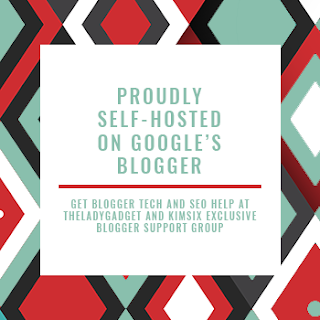 If you are not a blogger, just sign up in the linky below. Join me as we read The Monuments Men before the movie comes out in Febuary! The giveaway has expired though. Go check out her blog to get all the details. Sounds like fun! For the past couple of weeks I have been reading and searching blogs, you tube, and the world wide web concerning areas of your blog that could be improved. I found 7 ways to improve your blog, 7 items to get rid of on your blog, and 5 reasons why no one is visiting your blog. I watched videos of ways to get creative on your blog. I have just been doing research. So, I have been deleting some posts that I was not happy with. I have reread some posts and changed some wording that I felt needed changed. I moved items around in the sidebar. I have learned how not to "clutter up" your blog and keep it simple and make it easy for readers to navigate around your blog. In other words, I have been tweaking my blog. I do have one problem that has plagued me and that is Pinterest. No matter how much I work this into my blog, I can not seem to get it right. I am just frustrated. So I am putting this issue on the back burner for now. With all of the helpful advice out there, at this moment, I am happy with my layout. Wait till later as I'm reading more, I change it up again. LOL. 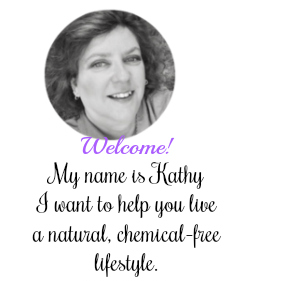 I am having fun with the blog and have enjoyed interacting with other bloggers. 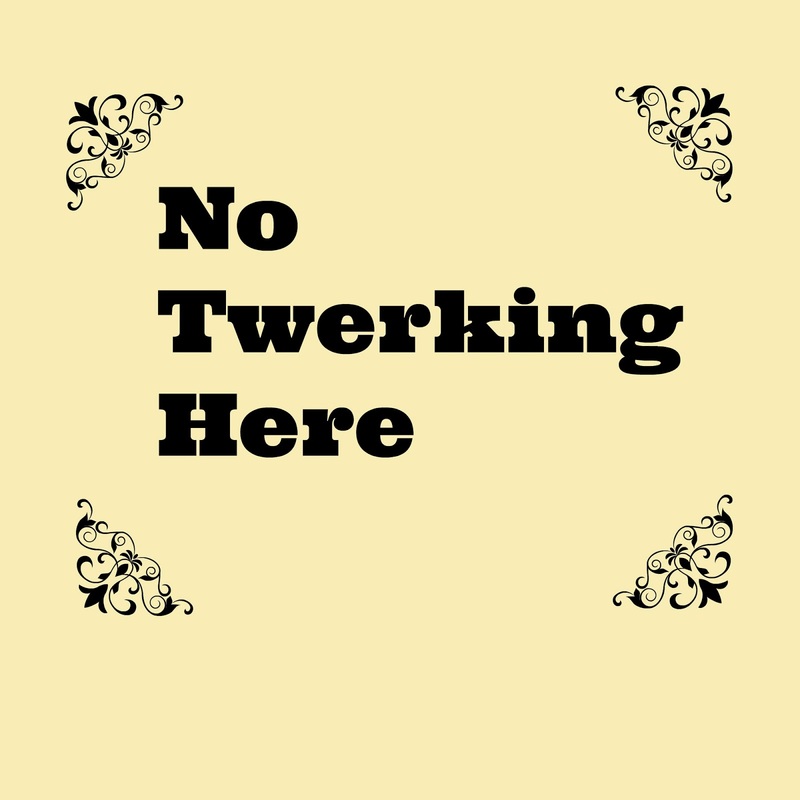 Now about that twerking business. I will start singing and you can jump in anytime and start twerking. 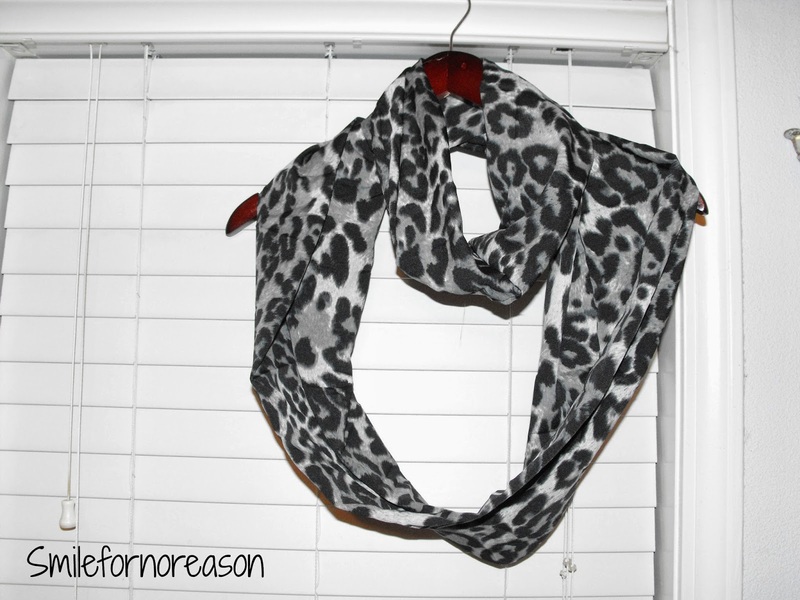 How to Make an Infinity Scarf. As I read through the instructions, I felt as though I wanted to tackle this project. 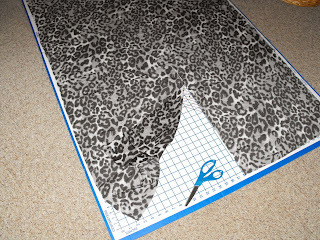 I chose a dark animal print material. The website post, listed above, has instructions with pictures that are easier to see because Jacinda @yellowcloth.com used a white material. Here is a picture of my completed infinity scarf. 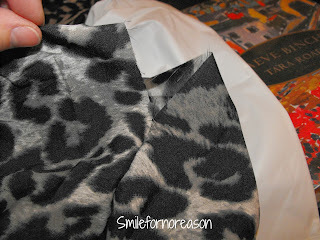 I used a soft silky material. 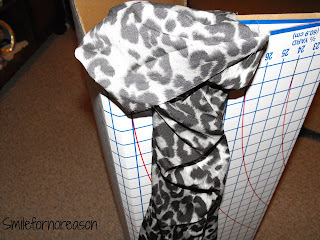 With the problems I was having with my machine while making the blankets, I was afraid that my machine would have problems with this lightweight material. But I was so delighted when I had no problems and just sewed away. Woohoo. 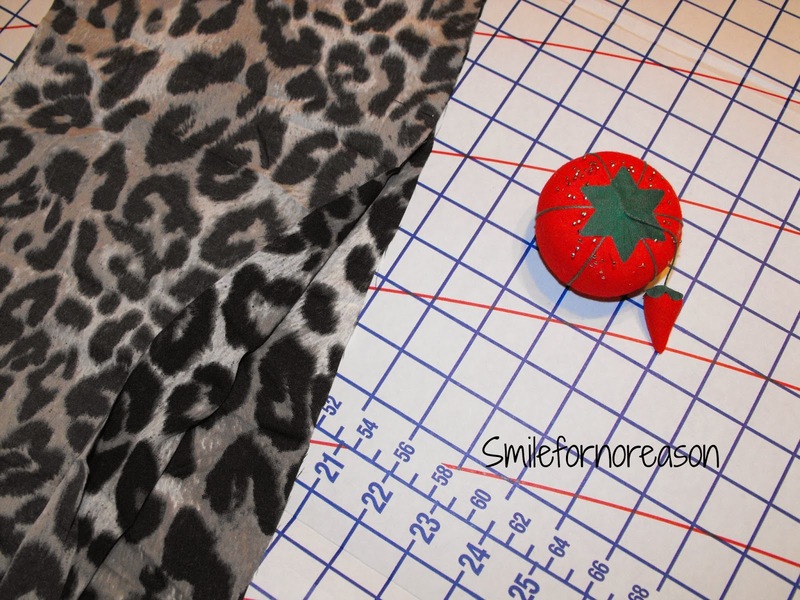 To begin, the scarf is 64 inches long by 18 inches wide. 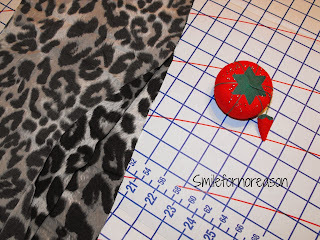 Measure and cut your material. 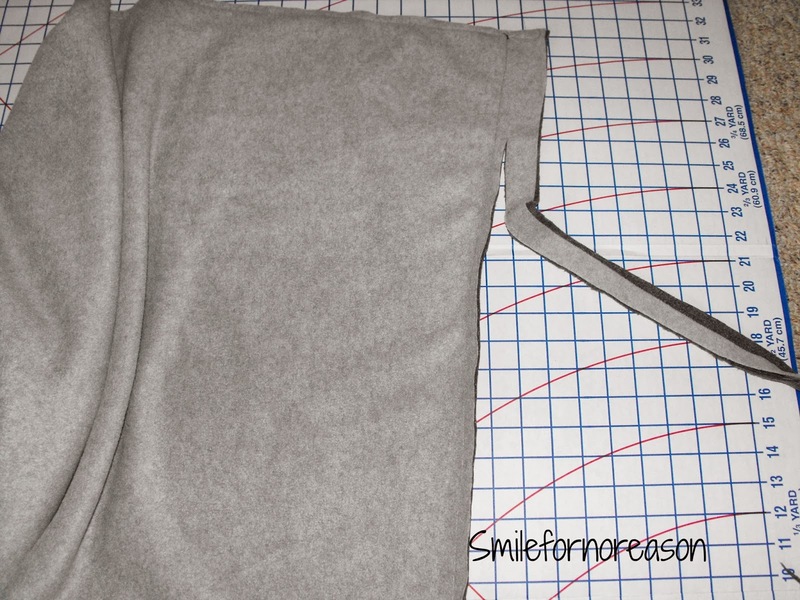 Fold the material length wise in half and pin the right sides together. Sew down the side that is pinned together. Now, pull the scarf inside out. The right side of the material should be showing. 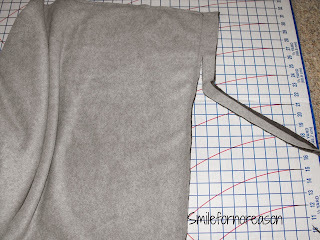 Now pin together the ends of the scarf, right sides together. This was a little tricky, I had never sewn together 2 pieces of material together in this way. Leave a small space open. Fold material under and pin together. Now, either hand stitch or top stitch this together. I chose to top stitch the material together. Knot ends of thread together and voila! you are done. 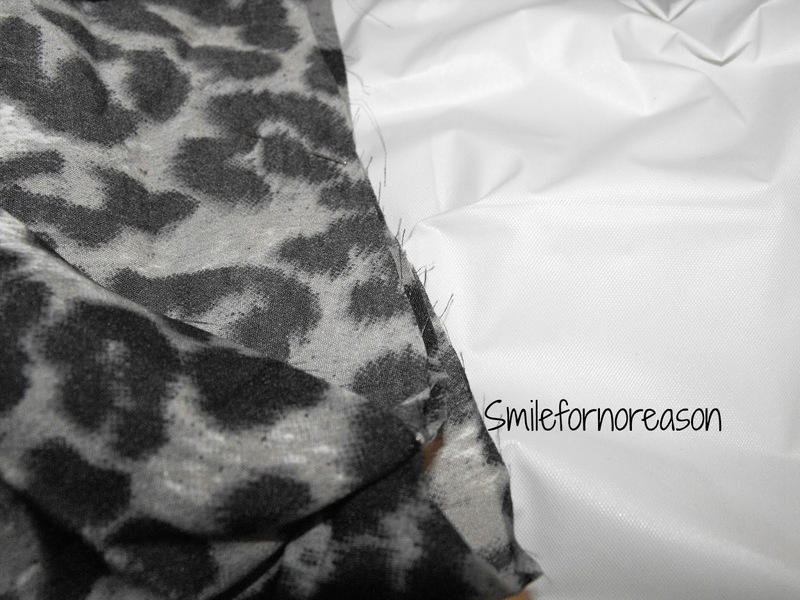 I was able to make 3 scarves from the material. This project was a lot of fun. Let me know if you decide to tackle this project. Christmas is still a couple of days away. 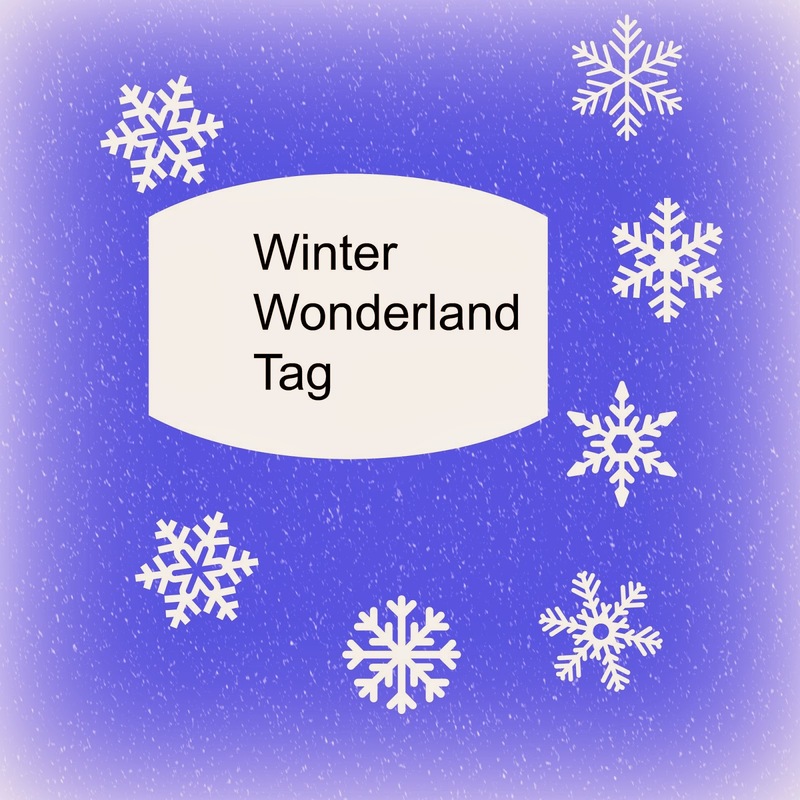 I found this tag just in time! 1. Favorite thing about winter? Waking up the next morning after a snowy night and everything is covered with snow. The world just looks so peaceful. Scarves, of course, don't want to mess up the hair! 4. Favorite winter nail polish? Any burgundy color. I want to try Zoya nail polishes. 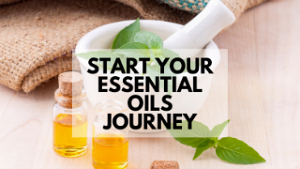 They are a cruelty free brand without the harsh chemicals. 5. Favorite Starbucks Holiday Drink? We live in the middle of cornfields, we do not have a Starbucks. The closest one is an hour away. 6. What are your top 3 winter essentials? Scarves, gloves, and snow boots. 7. Name one item on your wish list this year. I need a new computer. This one is driving me crazy. Seriously, I think it is out to get me. Jingle Bells. Sung by anyone. 9. Did you go Black Friday shopping this year? 10. Must have winter lip product? A lip balm. I am on the lookout for a natural, cruelty free brand. I don't have a lot of choices in this town. I swear, if I lived close to a store similar to Whole Foods, I would be in there every day. 11. Will you be rocking an ugly Christmas sweater this year? Unless it's extremely cold, I don't wear sweaters. I get too hot and then I feel claustrophobic. 12. Have you ever had a white Christmas where you live? Yes, we are having a white Christmas now. It snowed a couple of inches last night. 13. Favorite winter candle scent? Apple Cinnamon. Heavy on the cinnamon. 14. How will you be celebrating this holiday? Hanging out at home and some with my husband's family. If you give this tag a go, let me know. I would love to read your answers! We have a winter weather system heading our way here in the midwest. Rain and possible freezing rain will come with this system. Oh, boy. Much of our snow is melting today from the last winter storm that went through here last weekend. It is 43 degrees outside at this moment, however....temperatures are going to start dropping. I feel for everyone who has to be out in it and driving. Driving in freezing rain is stressful and dangerous.﻿ I am blessed to be able to just hang out at home. Christmas shopping is almost finished. Only need small stocking stuffers. So, here is my plan. I have plenty of warm tea. The holidays are here. You are busy. Then your child tells you they need a dozen cookies for school tomorrow. And it's 8:00. Been there....done that. 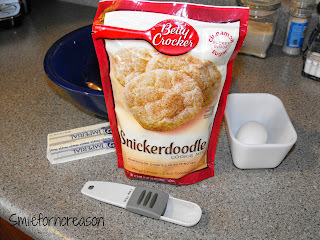 Pull a ready made cookie mix out of your cabinets. Grab an egg, a softened stick of butter, 2 tablespoons water, 10 minutes to mix everything together. Bake and your done. A dozen cookies ready for your little one to take to school. My son brought home a ready to make cookie mix. I made them for him and his father they loved them. Wanted me to make more. Here is a picture of the baked cookies. Here is the ready to make cookie package. The picture shows the few ingredients you will need. Mix these all together, bake on parchment paper for easy clean up, and you are finished. 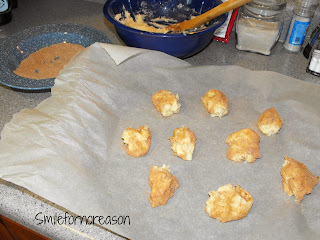 The most difficult aspect to the cookies was rolling the cookie dough in the sugar packet ingredients. The cookie dough was a little sticky. When you are at the grocery store pick these up and have them on hand for the little surprises in life. I would have loved having this in my cabinets 15 years ago when my son was in school. I made plenty of the cake mix cookies. (A blast from the past) These ready mixes are much easier. My family scarf's down the chocolate chip cookies. The chocolate chip cookies are even easier to make. You use 1 stick of softened butter, 1 egg, and the mix. You don't even need to touch the cookie dough. 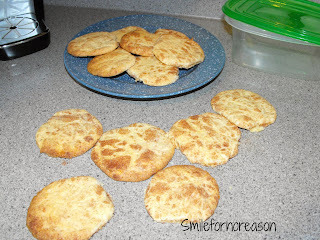 If you have tried these cookies, let me know. Recently I posted that I had found the miracle natural glass cleaner. It left no streaks. Well, I have been having some streaking issues using this cleaner. I use paper towels and the cleaner to wipe down the mirror. And lo and behold, massive streaking. When I use the paper towels, not only do I have streaking, but I have paper towel fibers all over the mirror. Then, I have to use a dry cloth to wipe off the fibers and the streaks. I tried using a microfiber towel with the cleaner. Still streaks. Ummm, no. That didn't help either. So, I have come to the blogsphere to ask for some help. Does anyone out there know of a good glass cleaner. A glass cleaner that is natural, will not hurt the environment, and is safe around people and pets. 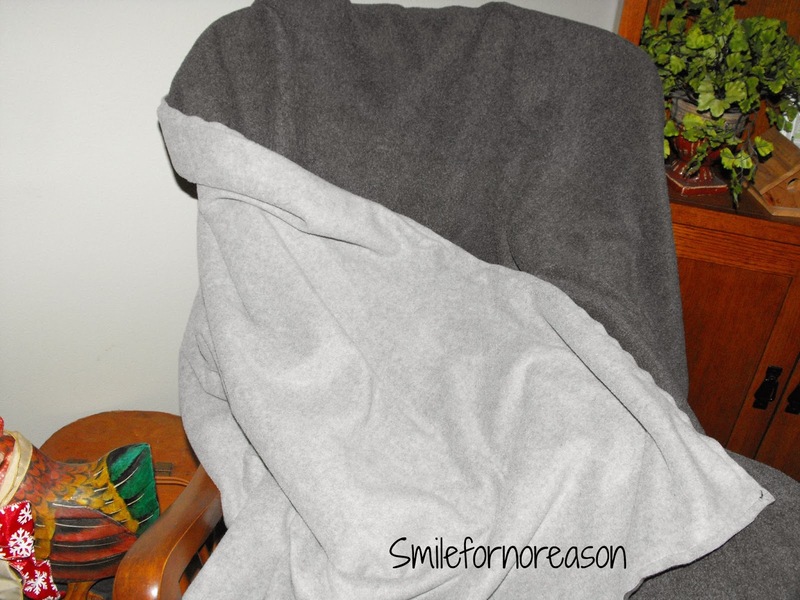 I made fleece blankets for my mother-in-law and father-in-law for Christmas. These blankets are the exact same pattern as the ones I made for my handsome husband and my sister-in-law. 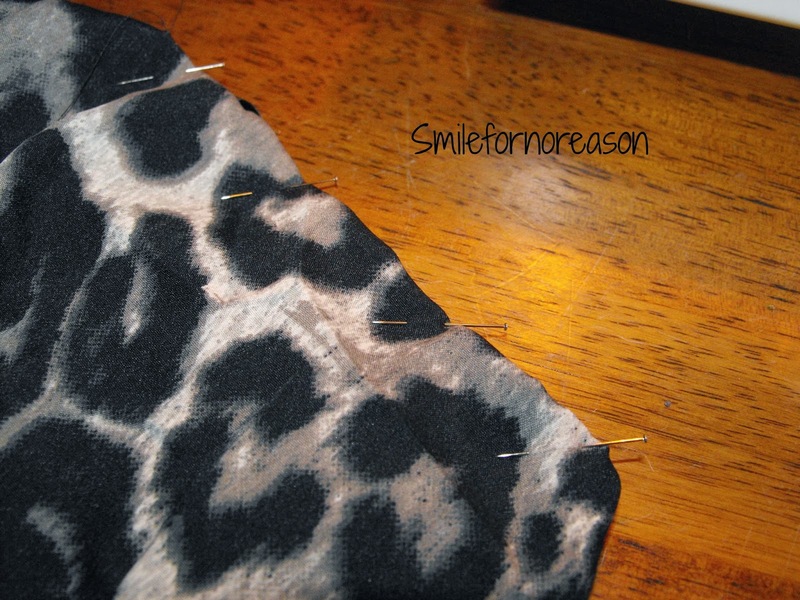 Place two fabrics wrong sides together, sew around the edge of the fabric, and cut off excess. You are finished. I totally forgot to take pictures of the completed blankets. I wanted to get them in the mail to make sure they arrived before Christmas. I do have pictures of the material I used. I do not know why the colors in the fabric turned bluish when I took a picture. 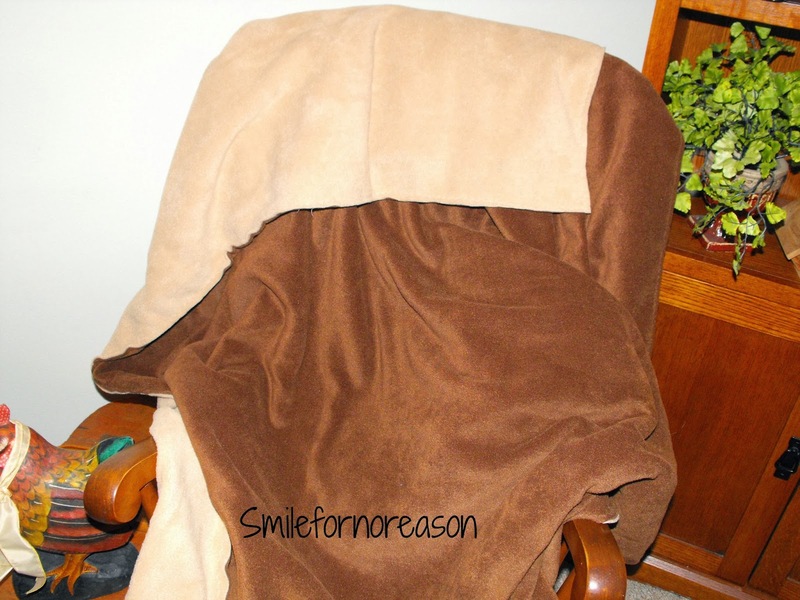 The color in the fabric is actually an antique green with yellow and orange. I paired it with the brown as the complementary color. My father-in-laws blanket is the exact same colors as the one I made for my husband. Brown and tan. My father-in-law is 6'7''. I added another half a yard to the length of his blanket. I still have to make a blanket for my son. 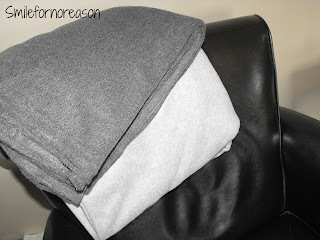 He wanted a gray and charcoal gray blanket. Here are the colors of his fleece material. My machine is still giving me fits. Hopefully I can figure out what is going on with this machine while making this blanket. I do enjoy making them. Everyone, thank you for reading. 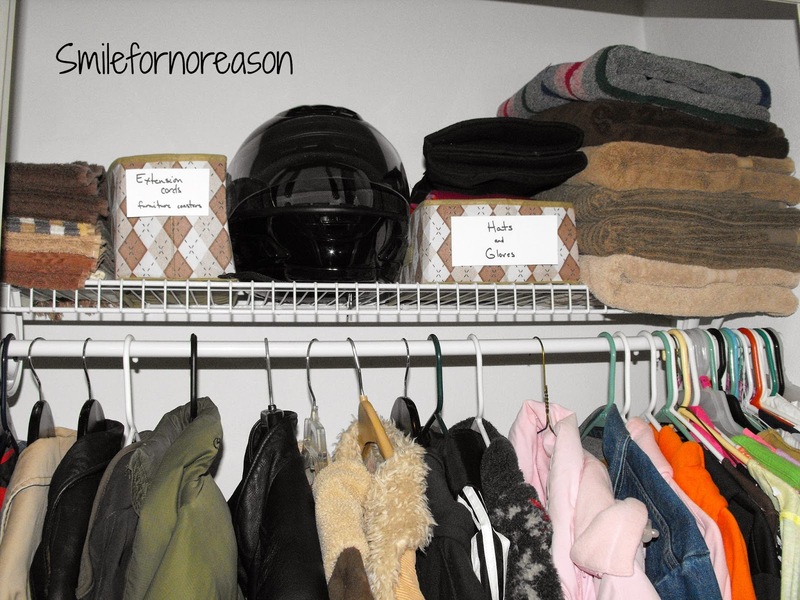 I want to share with you how my closet reorganization is going. First I had to empty the shelf completely, and throw away items from the shelf or donate them to the Goodwill. 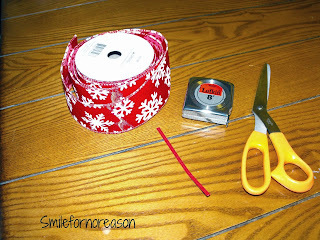 I went to the Dollar Tree and found containers to organize items that had previously been strewn throughout the house. My handsome husband helped by going through the coats and donating some that he no longer wore. I bought wood hangers to hang some of the heavier coats. Many of the videos and blogs that show how to organize use plastic boxes to store items. But I found these decorative boxes at the Dollar Tree that I thought were more attractive than the plastic boxes. They are cheap cardboard boxes and might not hold up, but I wanted to try them. I added card stock labels to let my family members know what can be found in the boxes. I am getting there. I still have things I want to add such as an over-the-door shoe holder. I still need to clean out the floor of the closet. That is were I keep my wrapping paper. No, not in a box, just stuck in the corner. Are you surprised! Example, the photo above. We had a winter snow fall here last night. Approximately 4 inches fell. It is putting me in the Christmas spirit. Hope your holidays are going well! Cozy Little House's blog. 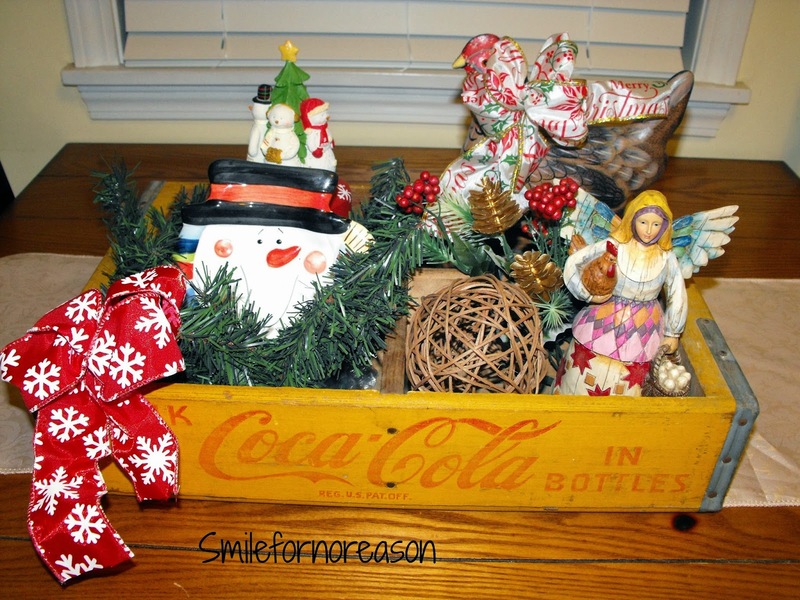 On her table, she had a vintage Pepsi crate filled with items that she said she was going to change out and put in Christmas related items. Well, I have some of the vintage crates in my garage, so I brought one in and started decorating with it. I put in some greenery. A music box. A small snowman plate. 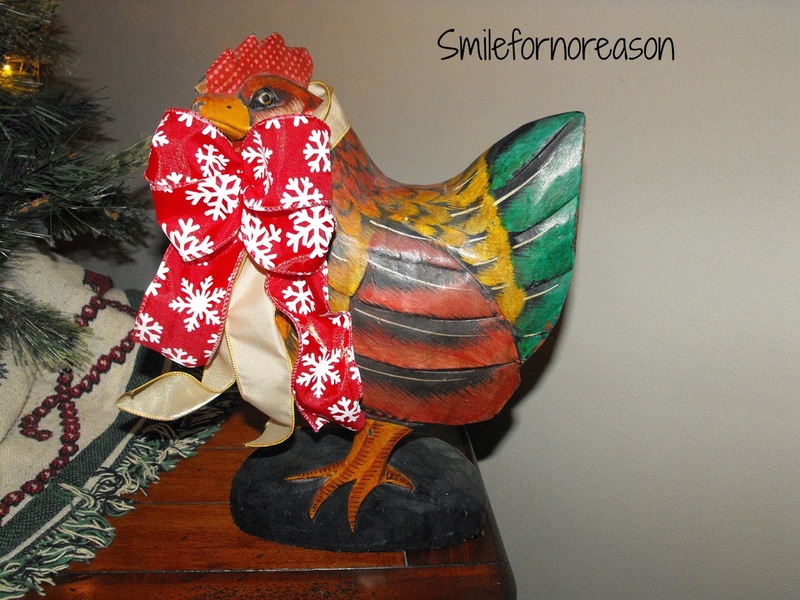 And, of course, a chicken with ribbon around his neck. I added height to the arrangement by placing the snowman plate and musical snowman Christmas tree on top of items I found on my shelves. I added texture with the twig ball and greenery. I have been creating more of the Christmas bows and I placed one around another one of my chicken's neck. 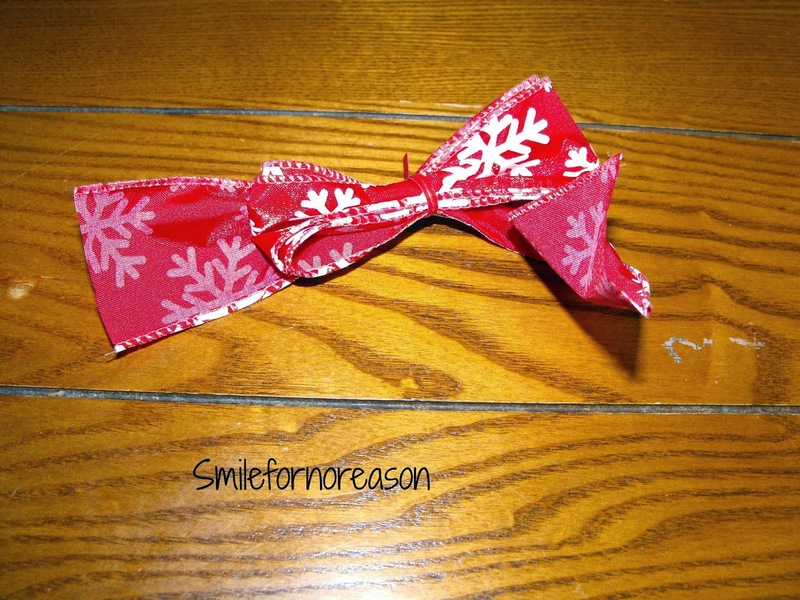 I enjoy sitting and making these pretty bows. They make everything look festive when you add them. 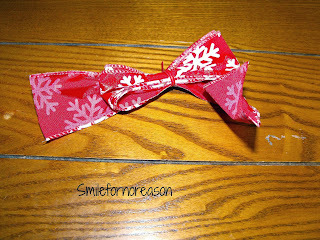 I have posted how to make these bows on my post titled, Handmade Christmas bows. It looked yummy, so I thought I'd give it a try. Put the slices in a pan with the salt and about an inch of boiling water. Cover tightly and cook about 10 minutes. Drain. Mash the eggplant and mix in the eggs, melted butter, onion, oregano, and bread crumbs. Butter a shallow 1 1/2 qt baking dish. Cover the bottom with half the tomato slices. Spoon in all of the eggplant mixture and spread evenly. Arrange the rest of the tomato slices on top. 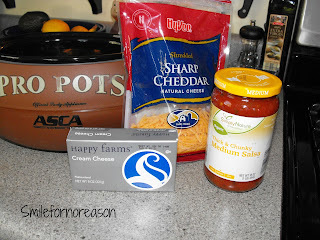 Mix together the cheeses and sprinkle over the top layer of tomatoes, add a sprinkle of paprika. I followed the recipe except I used Schar gluten free bread crumbs. 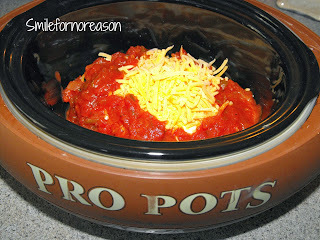 This was a great casserole and so easy to make. I will add more eggs. I used 2 eggs and they were rather small. I will add more bread crumbs. I will add more seasonings such as, garlic chips and what else I may want to throw in from my spice shelf. I used 2 tbs of light olive oil instead of the butter. And a lot more cheese. Much more! I heated up the casserole the next afternoon in the oven. Laura @I'm So Vintage found the recipe in this book. 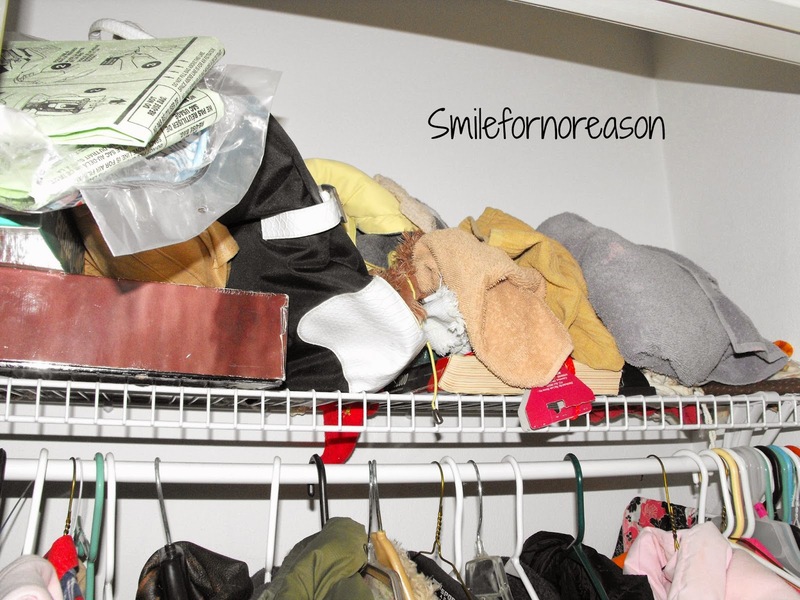 Sometime last month I happened upon some you tube videos that demonstrated organizing in your home. I thought to myself, this is exactly what you need. For awhile now, I have been decluttering and simplifying our home. So when I chanced upon the videos, it was as if a light was opened up from the heavens above. OK, maybe a little over the top, but hallelujah! Let me explain some of my organization tips. Disclaimer, do not follow any of these tips. 1. Throw it in a drawer, knowing that this is where you put it and the next time you need it that is where it will be. 2. Put it on the attic stairs. Oh no, not in organizational boxes, no, just thrown on the stairs. Especially extension cords. Just put them there. 3. Place items in drawers, in the Secretary, because that's just how its done. 4. Place important papers in the file cabinet in any file folder that is close to the front of the drawer. And my favorite, 5. Put anything and everything under the sink. I'm going to begin with a shelf in our coat closet. Baby steps! 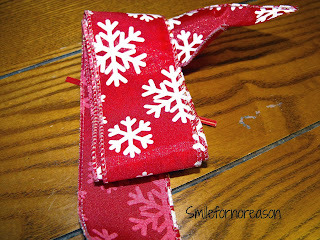 If I can make cute Christmas bows, organizing 1 shelf should be a walk in the park. I crack myself up. Honestly, I have no idea what may be on this shelf. But I am taking you with my as I get started organizing. I do see a college textbook with Christmas bags. Yes, they do go together. Oh my, I do need an intervention. If you have any organizing tips, let me know. I need any and all help. Making myself a cup of hot tea before I tackle this. Maybe 2 cups of tea. For this Flashback Friday, I will be featuring my grandmother's fancy china. My mother told me this was my grandmother's good china. But for the life of me, I can never remember eating from any of this dinnerware. 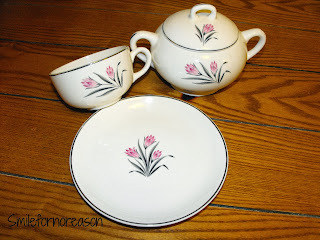 I vividly remember eating on my grandmother's Melamine dinnerware. She had a mismatched set with different colors. She had some mustard, brown, and pale green colors in her everyday dinnerware. And they were washed by hand after every meal. But I digress. I received this china after my grandmother passed away. She battled rheumatoid arthritis the last 20 years of her life. My handsome husband and I were married on June 15, 1991. My grandmother passed away on June 19, 1991. It was horrible. I remember exactly were my husband and I were when he gave me the news. Yes, not the best honeymoon. 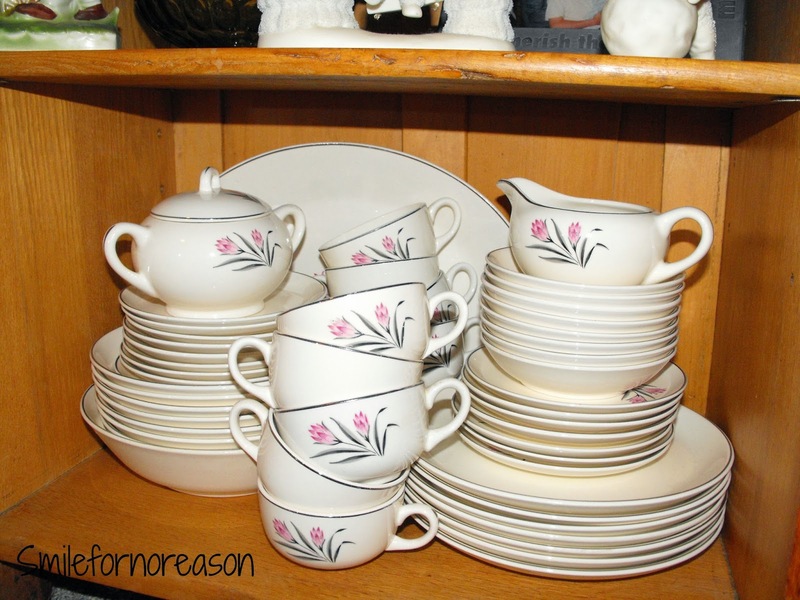 For the longest time the china was in a box in the basement. But when I started decluttering my basement, I brought them up and displayed them on a shelve in our Secretary. 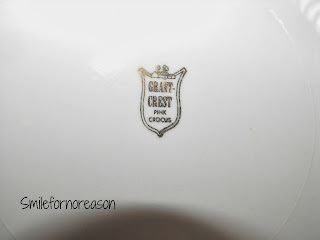 Here is a picture of my grandmother's china. I have no background information on the china. I don't know if the china was a gift or she bought the china herself. I do know that I see this china everyday and I think of her everyday. Here is a picture of a few of the pieces close up. I love the pretty pink flower with the silver leaves and the silver around the edges of the pieces. This is what is written on the back of the plates. I use one of the dinner plates daily. I can't think of anything profound to say, just that I miss my grandma dearly. 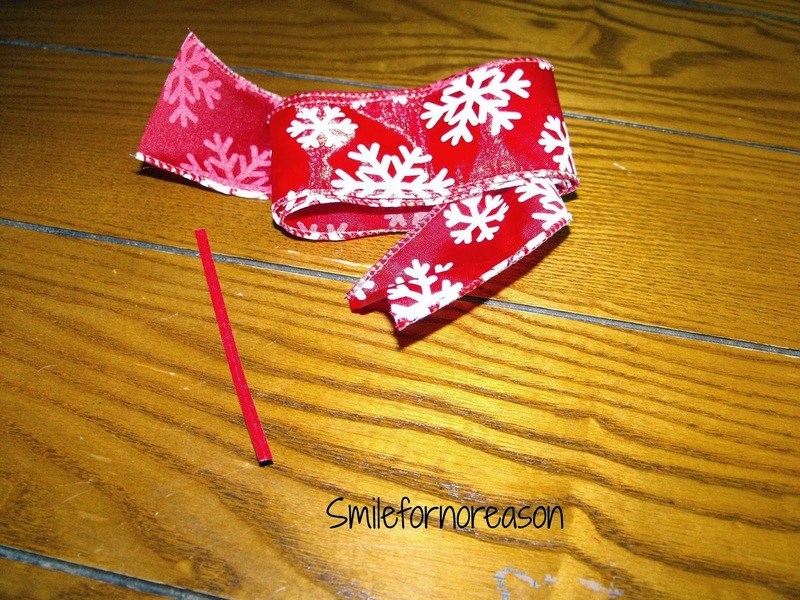 Earlier this fall, while reading blogs I love, I came across this post for making fancy bows. I have wanted to try this but I always forget to pick up some ribbon. OH, the fragile mind of a busy lady. Wired ribbon is best for this project. Scissors. A tape measure. A bread tie or twisty tie. Cut the ribbon to a 3 feet length. Wrap the ribbon around your fingers. Wrap tight for a smaller bow or loosely for a bigger bow. The ends of the bow should be pulled out a smidge (yes, a technical crafter's term) from the roll. Place the bread tie under the roll. Wrap the bread tie around the ribbon. Then twist the bread tie together. This is how the bow should look like at this point. Now start separating and pulling the bow. Because of the wire in the ribbon, it is easy to arrange the bow to your desired look. Play around with it. Twist and pull till you get your cute bow. Here are 3 bows I created. Each of the bows have a different look. 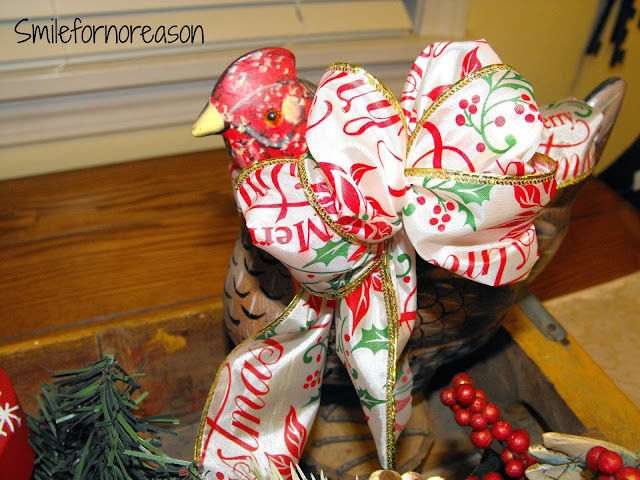 I decorated Mr. Chicken with one of the bows. He already had a gold ribbon around his neck. I attached the ribbon I made to the gold existing ribbon. 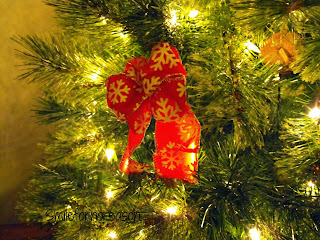 I added two of the ribbons to the Christmas tree. 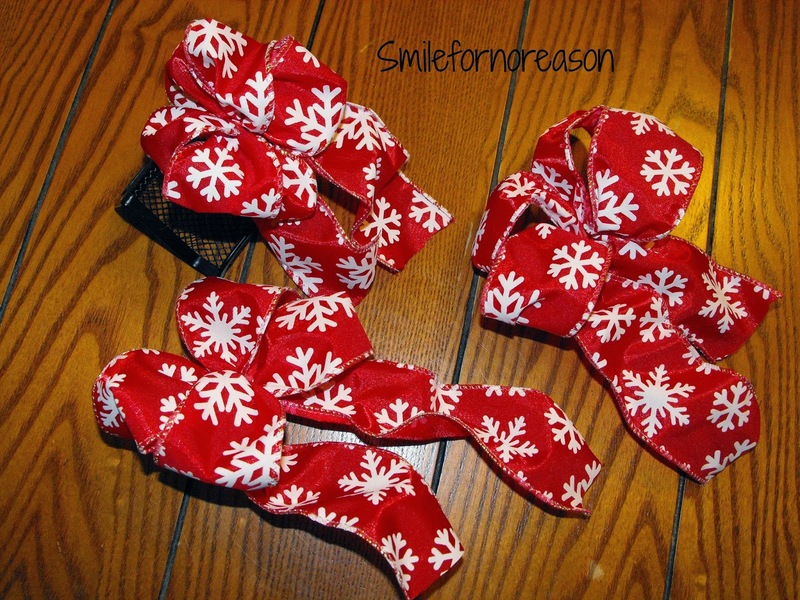 You can put these bows on Christmas gifts, add them to wreaths, or place on garland. 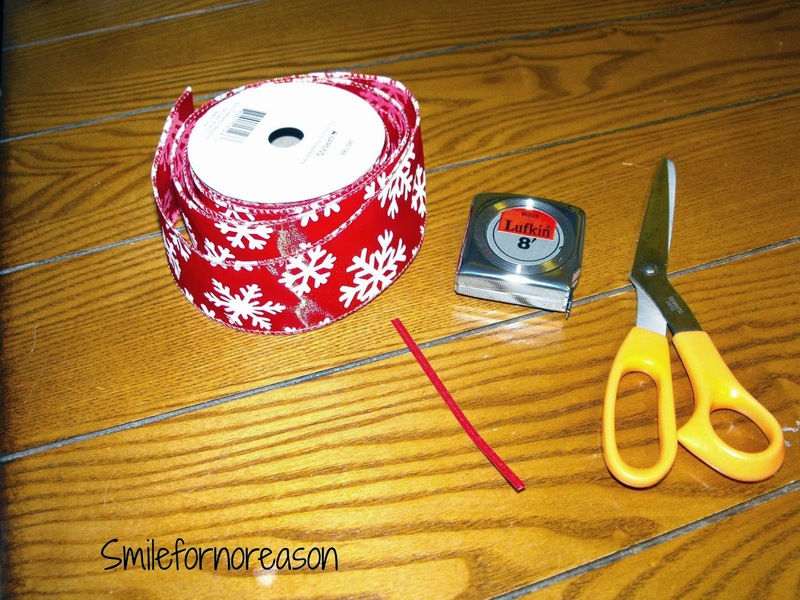 There are so many ways to use these bows all throughout the year. I had fun making these bows. 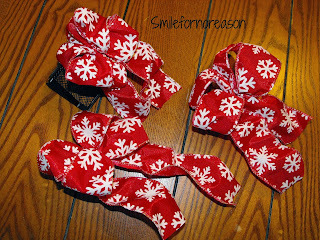 And if I can remember ribbon when I'm out shopping, I will be creating many more!